Details and full schedule for surrounding areas available HERE. The Board of Health performs on the local level many important duties relative to the protection of public health, the control of disease, the promotion of sanitary living conditions, and the protection of the environment from damage and pollution. Under the subdivision control law, the Board of Health has important responsibilities with regard to subdivision plan review and, under Title 5, inspections of septic system installation and maintenance. The board also investigates citizen complaints. In addition to its elected Board of Health, the Town is also a member of the Nashoba Associated Boards of Health. One member of the Groton Board of Health serves on the Board of Directors of the Nashoba Associated Boards of Health Association. This organization, made up of surrounding towns and with offices in Ayer, acts as agent for the performance of many of the above duties under the supervision of the local Board. One arm of the Nashoba Associated Boards of Health, the Nashoba Nursing Service, provides communicable disease investigation and follow-up; tuberculosis monitoring; high risk, mother-infant follow-up; immunization and screen clinics; health promotion; and disease prevention. 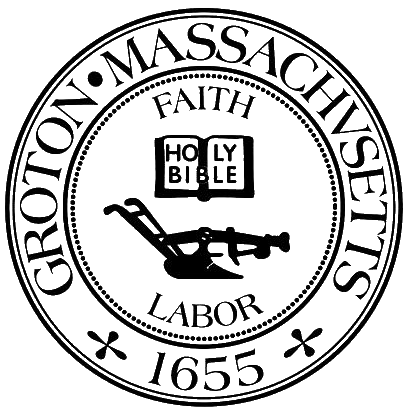 The Groton Board of Health is served by a paid, full-time office administrator with an office in the Town Hall.